It’s about a quarter after midnight, and I’m driving home from my local theater in complete silence. No music. No late-night radio talk show. Just me, myself, and I trying to process the spectacle that began three hours ago as I coast down the interstate running on adrenaline and the 5-Hour energy drink I downed about four hours before (if you have kids, you will understand why I needed an extra boost to watch a 9:30 movie – I’m still amazed that people are out this late). Fast forward to the morning hours after an all too brief and dreamless slumber, and I’m still trying to work out everything I saw last night. 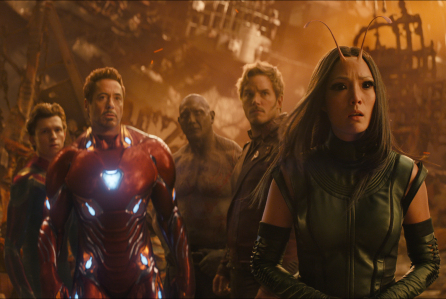 Of course, I’m talking about Marvel’s latest film, the culmination of a decade of other movies that have laid the ground work for this epic crossover event – Avengers: Infinity War. Warning: There are spoilers towards the end of this review, but you will be warned to stop reading before they begin. Epic. There’s a word that’s so often tossed around in today’s entertainment world that it has kind of lost the gravity of its meaning over time. The word implies a story with such great scope and impact that it transcends the time and place in which it was told as it passes into legend from generation to generation. The story may change over time, but its impact remains. Today, we see a movie that we really liked, and we say “Man, that movie was epic!” – but the word is so overused that I wanted to avoid it in this review if possible. However, as I have come to discover, it is a word that is impossible to avoid. Avengers: Infinity War is truly epic in every sense of the word. Talk to any life long Star Wars fan over 50 and one of the first things they will tell you about is how they remember seeing the original in theaters back in ’77. Decades from now, you may hear similar stories from Marvel fans about when and where they were when they first experienced Infinity War. Experience. There is a reason that I am using that word as well. One does not simply “watch” Infinity War. One experiences it. That is the best way I can describe my general feeling after leaving the theater last night. I didn’t feel so much like I had just spent three hours watching a movie. I felt bruised, battered, and physically exhausted. Avengers: Infinity War is an experience unprecedented in the comic book movie genre. 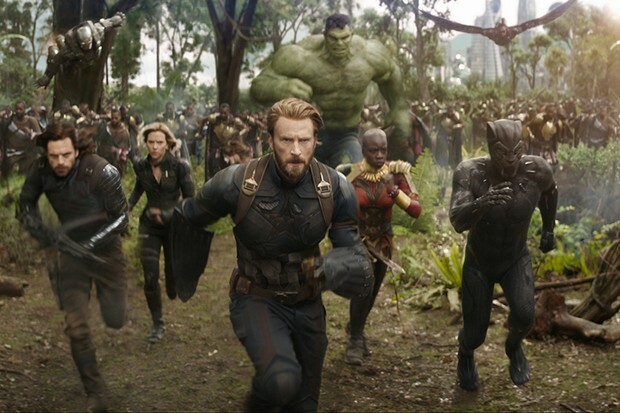 If the Marvel Cinematic Universe was a television series, Infinity War is the season finale, and that’s exactly how the movie plays. I imagine that people who have never seen a Marvel film may leave the theater somewhat confused and indifferent to what they had just seen. But as a fan who has watched a decade of these movies, I had a truly rewarding experience with this third Avengers movie. The payoff to the fans in this chapter of the MCU is substantial – especially for those who are also fans of the source material. I have to put myself in this category. Unfortunately, I can’t give you a perspective on this film that is unbiased or untainted by years of fandom devoted to not only the movies, but the comics that these movies are based on. But what I can tell you, is that from the perspective of a long time comic book fan and a follower of the MCU since Iron Man in 2008, this movie is very, very satisfying. I mentioned that the movie feels like a season finale, and I truly mean that. Although the film feels complete, having a beginning, middle, and end of its own – it doesn’t ever pretend to stand on its own two legs. It is very much a product of what came before, and it assumes that you are already familiar with the overall story arc that has played out over the last 6 years since the first Avengers film. I can see where the typical movie critic would find it easy to fault this movie for its lack of autonomy, but it’s hard to fault a film for not being something that it never claims to be. This may still seem like a lot to invest, but watching these movies will greatly enhance your experience as they introduce you to the main players and set you on the path to Infinity War. So, now that you’re caught up, let’s talk about the movie itself. If you asked me to name one thing that makes this movie really work, the one thing that sells the movie, I would have to answer you with one simple name – Thanos. 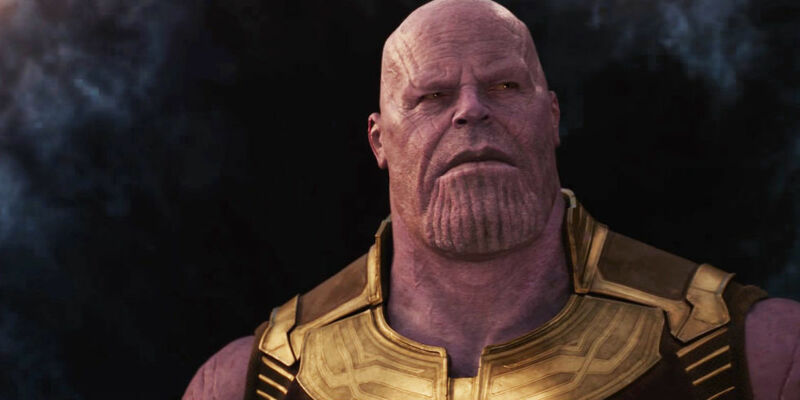 Thanos is the ultimate villain in the Marvel Cinematic Universe. The Mad Titan, as he is called, is the one who set things in motion back in 2012’s The Avengers and whose subtle presence has been woven throughout the MCU movies over the last 6 years, building up to the point where it is now finally time for him to take the spotlight. Not only does he take the spotlight, he steals the whole freakin’ show. Josh Brolin is fantastic as Thanos, and his character is exactly what it needed to be for this movie to work. After building him up for so long, they needed to deliver on Thanos as a great villain, and deliver they did. Thanos is the most dangerous type of villain there is – the one who thinks he’s the hero. He has such conviction in what he sets out to do that if it wasn’t for the fact that I am not a lunatic without morals, I could easily begin to see the logic in his mission. His purpose is simple (and wonderfully presented in the movie) – life has gone too long unchecked. Life has flourished to the point where survival of all beings across the universe has become difficult. People starve as resources in the universe are finite. But Thanos has a solution. If half of the universe is wiped out of existence, balance would be restored. The resources would become more available as they stretch further to those who would remain. Over the course of the Marvel films, we have been introduced to five of the six entities called the Infinity Stones, objects of great power that give those who have the strength to wield them control over various metaphysical concepts (Power, Space, Reality, Soul, Time, and Mind to be specific). These gems were created at the birth of the universe, and have been dispersed throughout over time. 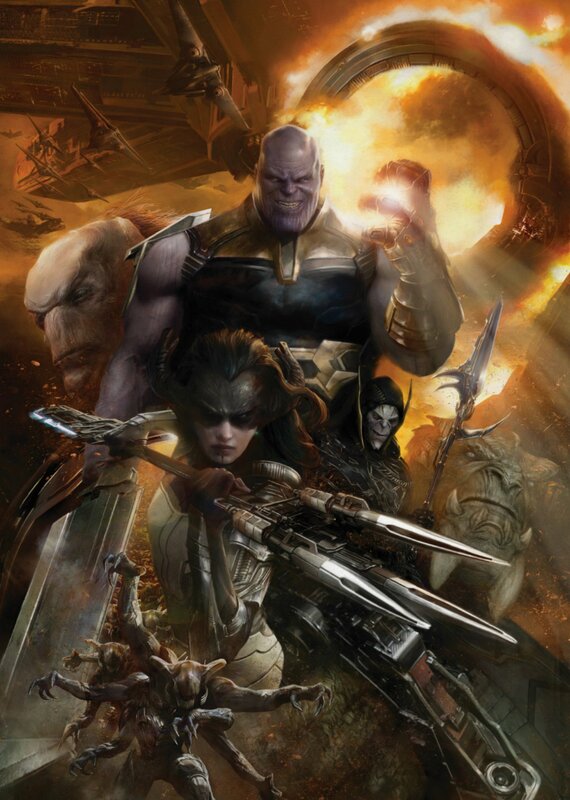 There are six stones in all, one of which is not introduced until this movie, and if Thanos can bring all of them together, he can basically gain god-like abilities that make his mission of wiping out half of the universe a piece of cake. 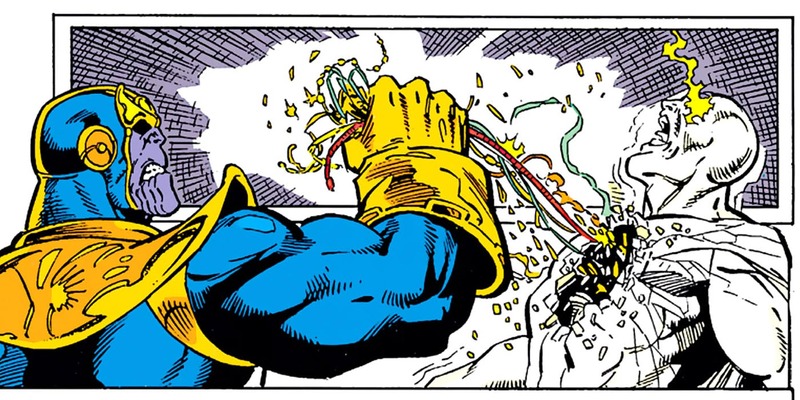 The story is based on 1991’s Infinity Gauntlet story arc from comic writer Jim Starlin, and there’s a lot of love for the classic comics shown in the movie, from character design to the overall plot of the film. Readers who are familiar with Jonathan Hickman’s more recent run on Avengers and New Avengers will also see some things (mainly Thanos’ “children” a.k.a. 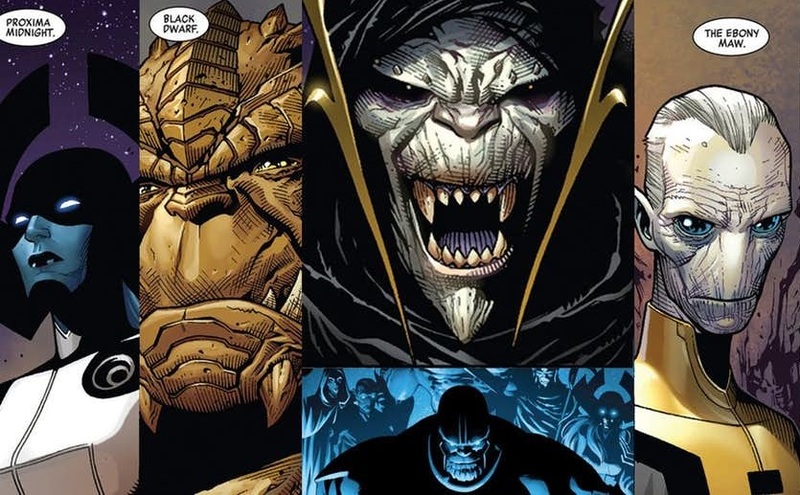 “The Black Order” who were created by Hickman for the Infinity event) pop up in the movie as well. Put Starlin’s Infinity Gauntlet, Hickman’s Avengers, and 10 years of MCU storytelling in a blender, and you are left with Avengers: Infinity War, a love letter to fans of the classic comics, the new, and the movies themselves. There is just so much love and appreciation to fans shown in this movie, it’s unreal. If it’s not clear by now – I adored Infinity War. While not my personal favorite among the MCU movies, it was certainly a fantastic experience and a worthy successor to all that has happened before in this fictional universe. Did I sometimes feel the weight of the story having to juggle so many characters? Yes. That is the one possibly negative thing I really have to say without getting into spoiler territory. But, honestly, this movie was a tall order from the beginning, and I feel like the creators did the best they could in giving everyone their moment, and delivering on those character interactions that fans expect in a mega crossover event like this. And for the most part, I would say they succeeded in this department. The whole movie feels like a third act, so it is definitely exhausting in that way. You kind of have to be in a certain mood to watch this film, I think. It just has so much going on. However, amazingly, it never felt like the weight of all that was going on bogged down the movie, and that is a tremendous achievement in itself, especially considering the amount of characters they had to juggle. Bravo, Joe and Anthony Russo – bravo. If anything, I left the theater hungry for more, and I can’t wait to see part 2 of this story next May. Spoilers Start Here! You Have Been Warned! The creators at Marvel have hinted that Infinity War would be a game changer for the MCU, and they weren’t lying. The movie shakes up the status quo like never before as everything comes crashing down around you. Many fans have been anxious in the months leading up to this event, wondering if this or that character would meet their tragic end, especially considering that many of the veterans of the franchise will find themselves free of their working contracts with Marvel Studios after Avengers 4. Does Iron Man die? Captain America? We just get the feeling that someone won’t be making it out of this one in one piece. But who? I apologize if I’m leaving someone out, but those are the only ones I remember at the moment. Scott Lang (Ant-Man) could have survived the events of the movie (Ant-Man & The Wasp is a prequel so you can’t assume he’s alive just based on the fact that the movie comes out later this year), but Ant-Man is not in this movie, and neither is Clint Barton (Hawkeye), so their fate is unknown for now. The future of the MCU is certainly bleak at the moment (even S.H.I.E.L.D. agents Nick Fury and Maria Hill meet their demise in the end credits scene), but fear not movie fans – we comic readers know what’s up. With so many characters going the way of the dinosaur in this movie, what does that mean for the future of the MCU? Well, let’s start with what we know, and then we’ll do a little bit of speculating. We know that director James Gunn will be bringing us a third Guardians of the Galaxy chapter in 2020. 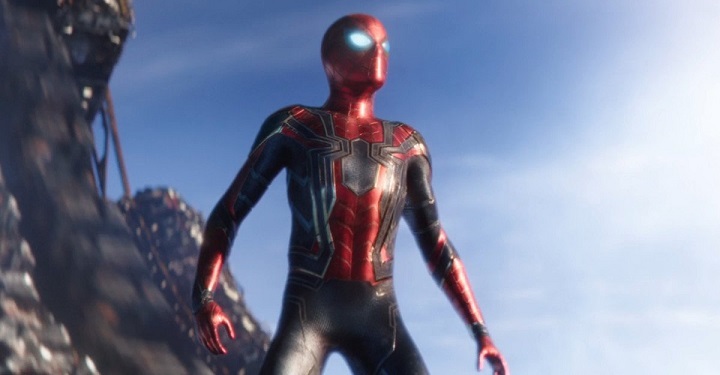 You can also bet that Marvel Studios didn’t make a deal with Sony for the rights to Spider-Man only to kill him off after only having one movie under his belt, and the second Spider-Man film is said to be as influential on Phase 4 of the MCU as Captain America: Civil War was to Phase 3. So unless they were bold enough to do such a thing or Gunn is actually working on a Rocket Raccoon solo movie instead, you can bet that next year’s Avengers 4 will set out to right some of the wrongs that Thanos did in this movie. Fans of the comics know that this is nothing new. Heroes die quite often in the books, but they rarely (almost never) stay dead. In Starlin’s Infinity Gauntlet alone, readers witness the deaths of Captain America, Iron Man, Vision, Scarlet Witch, and Spider-Man, among several others. But in the end, Nebula gets her hands on the gauntlet, and she uses her new god-like power to restore things to the way they were before. Rest assured, most – if not all – of these heroes will return. How, you might ask? We’ll have to wait a whole year in order to find out. 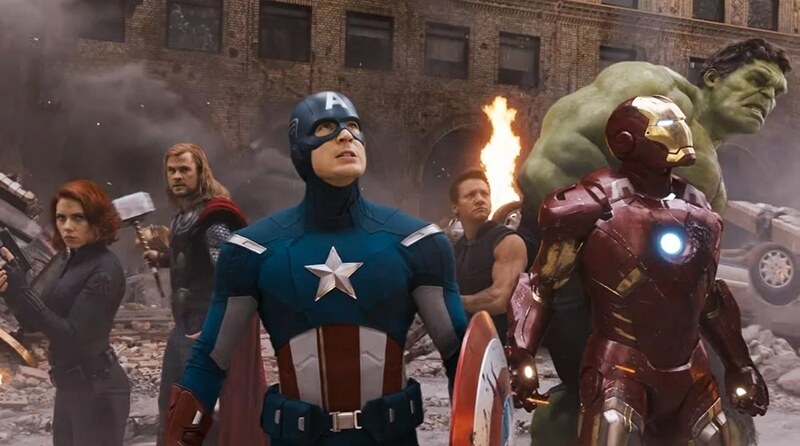 It’s interesting that pretty much all of the original Avengers survive this movie (one of my only criticisms – seriously, none of the original Avengers die?). It is a little bit weird, as I fully expected at least one of the big three (Iron Man, Captain America, Thor) to bite the bullet. My guess is that they are saving the more weighty death(s) for next year’s follow up where one or more of the veterans will sacrifice themselves to bring back the others. It’s hard to say at this point, but don’t think for a second that Marvel is done with the Guardians, Spider-Man, Doctor Strange, or Black Panther (a fan favorite whose popularity has sky-rocketed just in the last few months with the release of his own movie). Thanos will return in 2019, but so will our heroes. But I have to wonder, which of our original Avengers will we lose when the dust settles on that final battle that will bring us into Phase 4 of the Marvel Cinematic Universe? Avengers: Infinity War is now playing in theaters.